Graphics printed onto Polar Burst satin reflective PVC film will catch the eye of any viewer walking by, promoting your product in new and innovative ways. The satin reflective film has outstanding reflective qualities, which creates stunning graphics that retain their vibrancy, day or night and in wet or dry conditions. 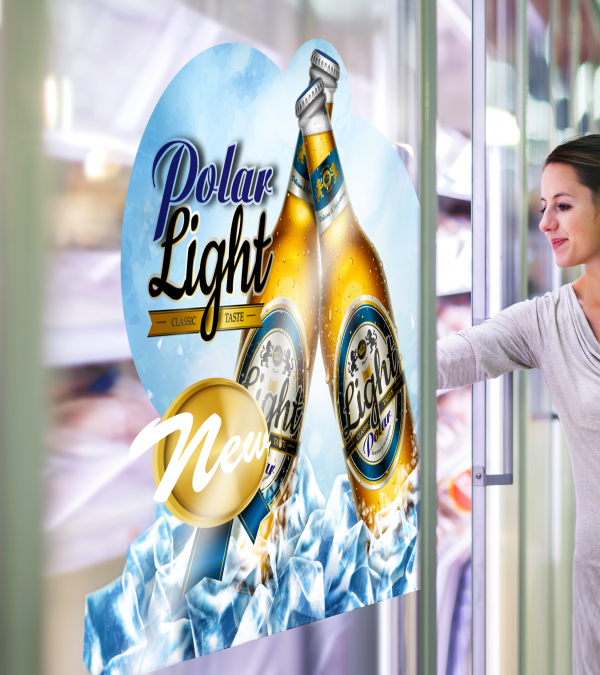 Approved for both indoor and outdoor use, Polar Burst satin reflective PVC film is ideal for signage and general advertising applications, as well as POP displays, posters, and other exhibition graphics. The reflective graphics media incorporates Drytac’s Adhesive Science to ensure that displays are easy to remove and leave no residue. 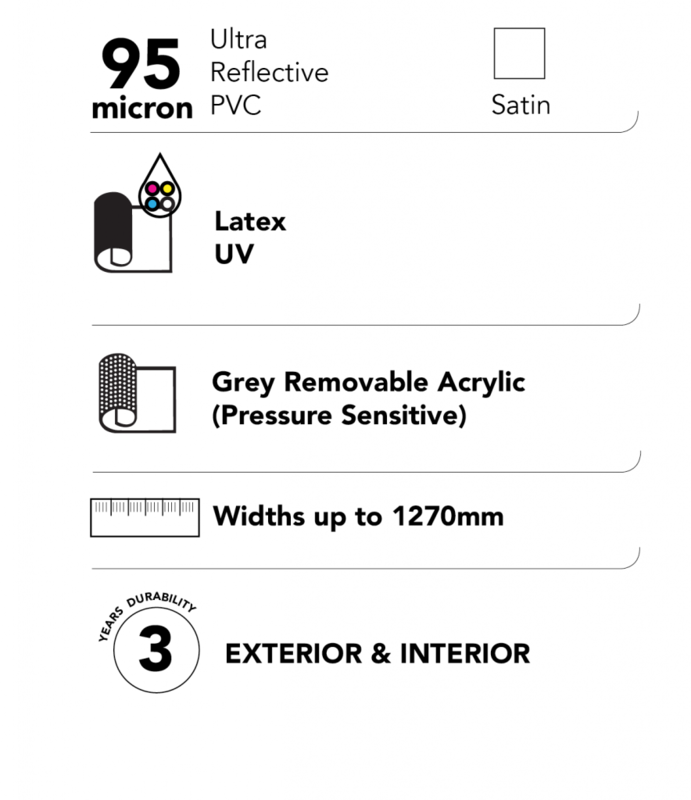 Polar Burst is a 95μ (3.7 mil) printable, ultra-reflective satin, self-adhesive PVC film with a high quality, removable grey acrylic adhesive protected by a siliconised PET release liner. Polar Burst has great adhesion to smooth, flat surfaces, ideal for innovative window graphics. Its ultra-reflective qualities create eye-catching graphics in the light and the dark.